HomeOrlando TVOrlando TV News slogans. Can you match them to the station? 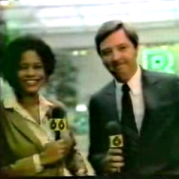 Annetta Wilson and Wayne Bennett in a promo for WCPX NewsWatch 6 in early 1980s. Stories That Count. People Who Care. Where Will We Take You Tonight? 1. Where the News Comes First. Answer: WESH 2. The station used this slogan during its “NewsChannel 2” years in the late 1990s and early 2000s. Answer: WKMG-6. Shortly after Post-Newsweek took control of Channel 6 and changed its call letters from WCPX, it re-branded the station and used the “Working Harder For You” moniker for 6 News in the mid 1990s. Answer: WKCF-18. It was used when it was a WB affiliate and WESH would produce a 10 p.m. newscast for the station, anchored by Bud Hedinger (below). 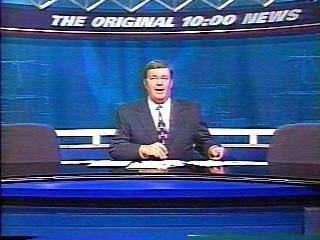 The 10:00 News was canceled in 2002. Four years later, WESH’s parent would purchase Channel 18. Answer: WCPX. It had a catchy little jingle to go along with it. This was shortly after Carole Nelson moved over to Channel 6 from Channel 9. Answer: WESH-2. This was used in the mid- to late-1980s, and was the same slogan used at the time by NBC News. 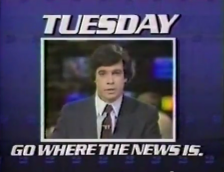 Below, WESH NewsCenter 2 anchor Bruce Hamilton in a promo. Answer: WOFL-35. A bizarre slogan that Fox 35 used for its new news start-up in the early 2000s. Perhaps it was trying to emphasize its focus on youth? 9. Stories That Count. People Who Care. Answer: WCPX-6. A sort of long-winded and not very memorable slogan from the 1990s when Channel 6 was constantly changing anchor teams, formats and sets. Answer: WESH-2. 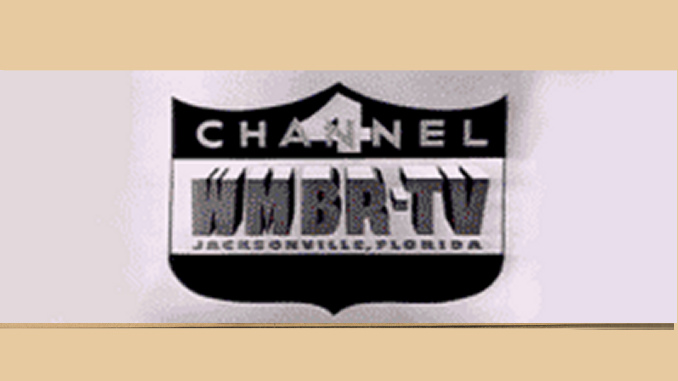 This was used by WESH in 1970s, when it became the first station in Central Florida to use minicams and live trucks. The image below was from a 1976 promo that WESH aired during its 50th annversary celebration (hence the modern bug in the bottom corner). Answer: WKMG-6. This was a great slogan and helped reinforce Local 6 as the station that did investigations. Why Local 6 changed this slogan is a mystery — and also a big mistake. Answer: This was the slogan used by WOFL-Fox 35 in the mid 2000s, shortly after it launched its 10 p.m. newscast. Hey, it beats “Your Generation,” right? Answer: Give yourself 2 points if you answered WFTV-9 and WCPX-6. This was the somewhat short-lived slogan WFTV used in the late 1980s and early 1990s before settling on the “Central Florida’s News Leader” moniker. 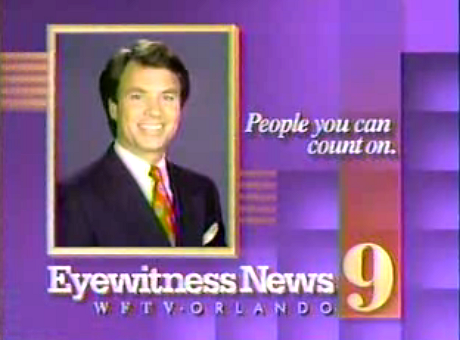 Below, anchor Bob Opsahl in a WFTV promo. But, also around 1994, WCPX used the same slogan — though not at the same time as WFTV. See video from that below. Answer: WKMG-6. The current branding that’s part of the intro to all Local 6 News shows. Answer: WESH-2. This was the slogan used by WESH in the early 1980s durings its NewsCenter 2 days. In this print promo are (from left) meteorologist Dave Marsh, sports anchor Don Gould, and anchors Carol Granstrom and Scott Harris (now with CF News 13). 17. Local. Live. Late Breaking. Answer: The current slogan of market leader WFTV-9. Remember, it previously used “People You Can Count On” in the 1990s. So, now we can count of the “coverage” but not the “people”? 19. Where Will We Take You Tonight? Answer: WCPX-6. A slogan — and slick promo — used by the station in 1996 when it was trying to spiff up its image before going on the market and ultimately being acquired by Post-Newsweek. Answer: WCPX-6. Used by the station in the mid 1980s, when Carole Nelson and Glenn Rinker were the main anchor team.